MySQL is a database system for storing the data, it is then accessed by a front end interface such as a website or Access forms. Its very stable and securing, capable of holding vast quantities of data. A lot of clients require there website to be access via the web. Having a web interface makes the database much more portable as it will work on the majority of devices. Its quote possible to have a mixture, so the customer would interact via the web interface and the office has a back order system linked in using access. 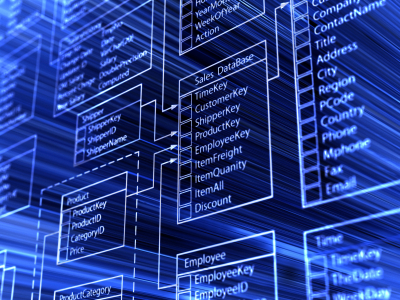 Databases can be interlinked. A good example of this is linking a webstore to sage. Rather than having to manually enter every sale, the two databases can talk so one automatically update each other. Databases can give extra functionality. An example of this is Sage, whilst sage has good reporting and a limited report designer as standard, it can be quite limiting. By linking an access database direct into sage new much more powerful reports can be created to donform to businesses exact requirements. The client required a database to record all the information as to the various lease hire agreements they had out. The database started as a one user and got converted to multiple login over a LAN. The client provided a list of all the data fields required as well as examples of the layout and the reports required. The client provided the images they wished to use alongside all text and the various pages they wanted us to create. In this instance the logo and branding were provided by the client but we can offer this as well (For information on these services please click here). ** Example of a basic information website as of Sept 2015.